Nothing jolts you from a blog writing slumber quite like a beauty tip that needs to be shared. Today we’re talking about eyelashes, eye lash curlers and how to use these peepers and ill-regarded torture devices in our favor. I’m an avid, daily lash curler, so I thought I really had my eye game on. Not so the case. I recently learned a new trick that I had not been privy to, and obviously now I need to share with all of you! It’s simple. Lets call it the 3 by 3 rule. Basically 3 pumps in 3 different places. Lets begin. As usual start with your eyelash curler as close as possible to the base of your lashes, without crimping your eyelid. Pump 3 times. Move the curler up slightly to the middle of the lashes. Repeat with 3 pumps here. Again, move the curler to the tip of your lashes and pump 3 times. Behold glorious lashes, with, or without mascara. I will say, this does get easier with practice, and without removing the curler from the lash area in between pumps. Just commit to it; you’ll be a eyelash curler goddess in no time (for your novice nellies out there). 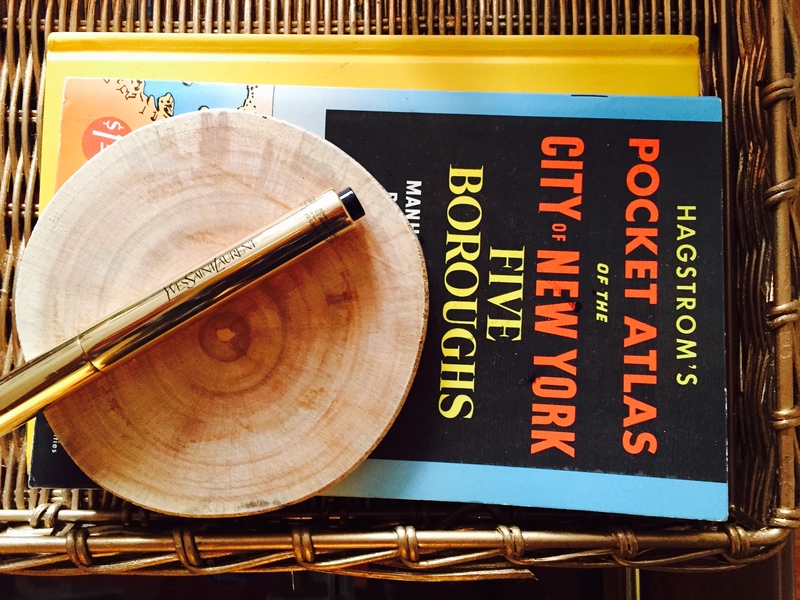 If you’re not loving your current makeup bag rotation, I use this lash curler, and mascara. 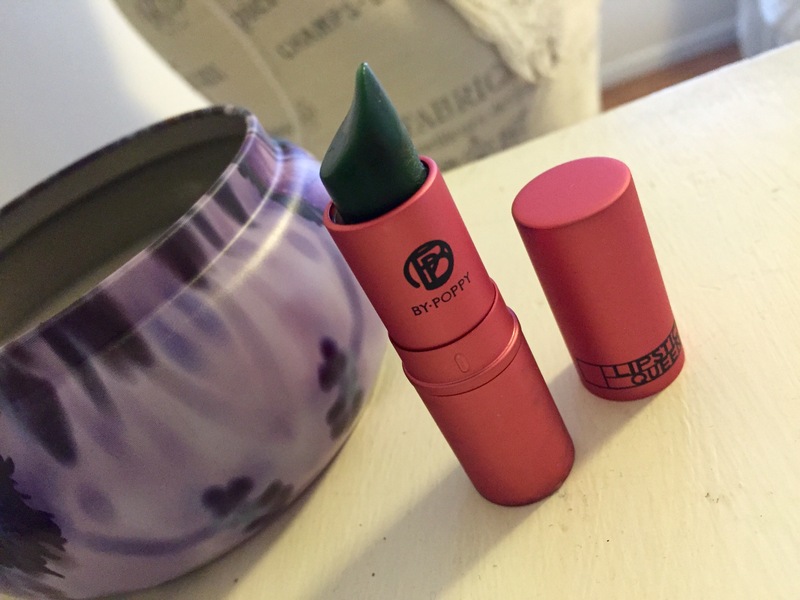 There’s no feeling quite like the joy that comes from a new lipstick. None the less one that claims to match the pH of your individual lips, giving a custom yours-only shade. I’ve had mine for about a month, and keep reaching for it for a bevy of occasions. The selling points? It goes on like a moisturizing chapstick, but with a rich color that stays. Looking for a fun activity? Test out the shade with a girlfriend and see the range of color that ensues. Confession: I haven’t been the most loyal to the organism that covers 100% of my body. 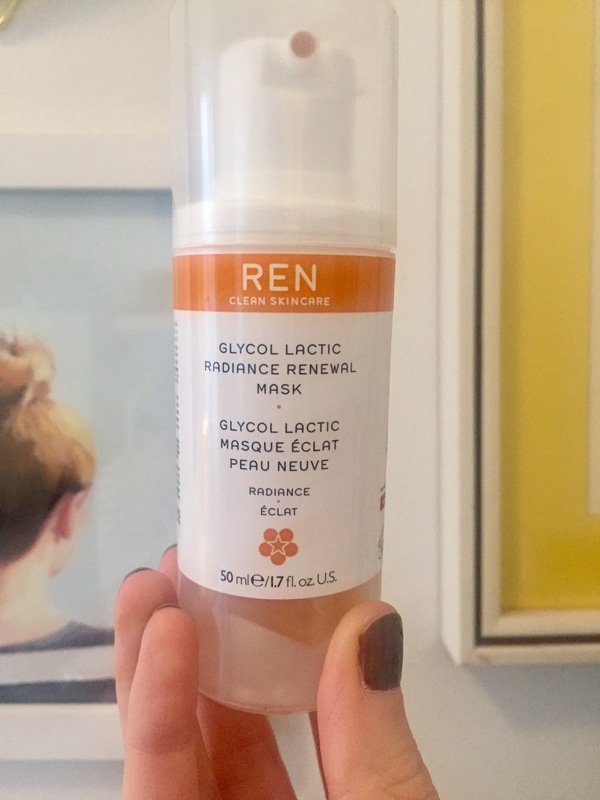 Although I’ve paid attention to facial skin care, sometimes the rest of my body gets the door shut on its’ face (so to speak). The winter hasn’t been the kindest, and my legs and arms are now dull with some of those unsightly bumps. Overall, not entirely ready to see the light of spring. What’s a girl to do? Dry brushing is a self-care technique that is easy to incorporate into your daily routine and pays off in a big way. Before you step into the shower, gently brush your appendages, and trunk from bottom to top in a large circular stroke. I work on legs, arms, and then my stomach and back, all in the direction of that heart as that engages the lymphatic system. Ladies, avoid the skin directly on your breasts, or any other compromised areas as they can be super sensation. You can spend a little extra time on your elbows, knees, and any cellulite or stretch marks. Besides undeniably softer and smoother skin, dry brushing can also increase circulation (perfect for those 8 AM Monday conference calls! ), engage your lymphatic system thus promoting the removal of toxins in your body, unclogs pores, and softens fatty deposits that can smooth out cellulite. 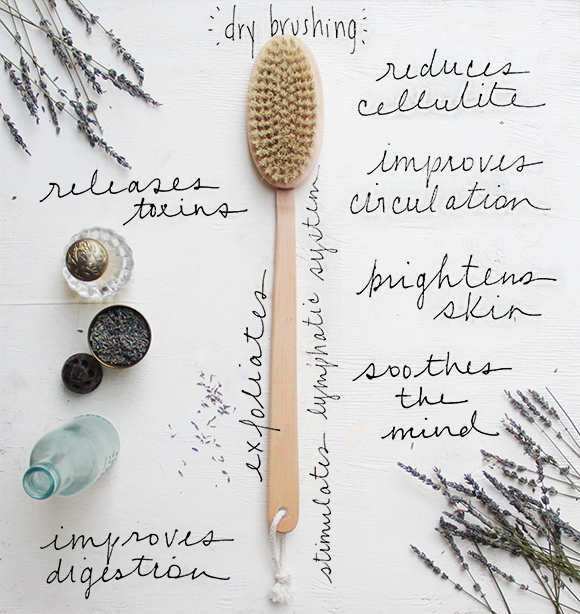 The practice of dry brushing feels indulgent and energizing, especially as your start your day. I have been using this brush, and try to brush for a least 3-5 minutes a day. I would strongly encourage you all to try out this technique- believe me, your skin will thank you. Some girls seem to have a perpetual internal glow, regardless of stress, hours of sleep, or weather. How do they do it? I’ll come out and admit that I’m not one of those girls naturally, but I’ve found a solution by the fabulous Yves Saint Laurent. Enter Touche Eclat. This rockstar little pen, brightens, highlights, and hides (!!) any areas that show fatigue. With a few dots, your skin will glow. I typically do three dots underneath each eye, and around the sides of my nose. This product is an investment, but will not let you down, that I promise you. 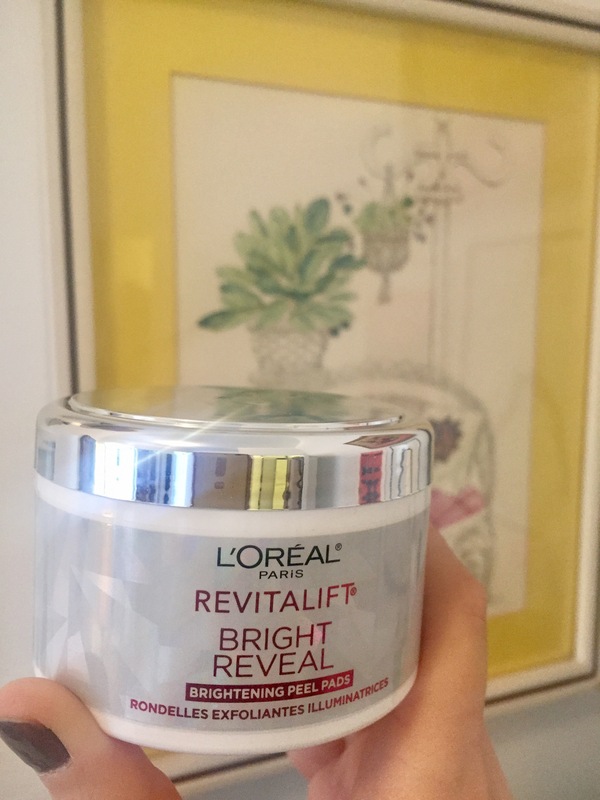 If you’re going for a low maintenance look (BB cream, mascara) this is the perfect cherry on top. If you like what you’re reading here on Steeped in Style follow along via Bloglovin‘ or RSS to not miss a single note. You can also add your email underneath the “Follow blog with email” header on the bottom of the site. An eyelash curler is one of the unsung heroes of your beauty bag. If you’re using a sub par version, you may not even really see a difference. Everything changes though when you come across one that actually works. 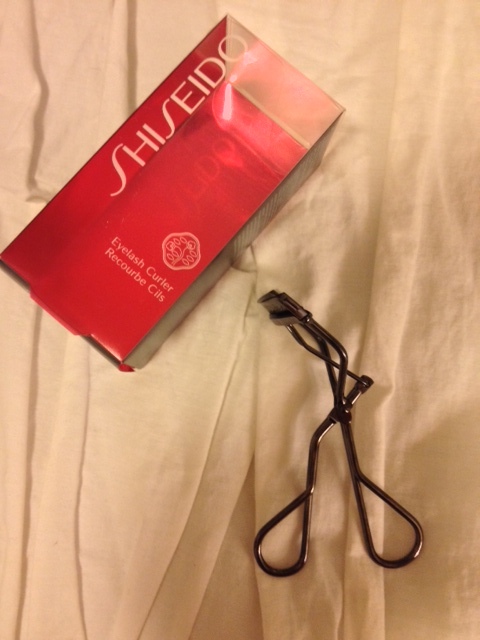 The Shiseido curler lifts the whole lash with determination that my last Revlon model could not; it also captures all of my eyelashes from corner to corner which noticeably ups the game. This baby is perfect for a weekend look sans mascara. Or for a regular daily look, I finish things off with Benefit’s They’re Real! mascara. What topics would you like me to cover on the next Beauty counter spotlight?